We've all heard stories about women who have managed to make a living out of freelancing, but while being your own boss may seem like an intriguing possibility, not a lot of people are so eager to start over. You give up the convenience of having a company pay for your taxes and contributions, and you won't have the additional benefits that you've gotten used to. But play your cards right and going solo may actually spell success for you. 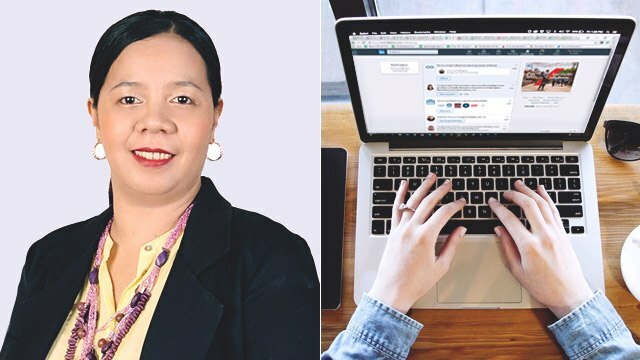 Virginia Bautista was a teacher who forayed into freelance writing through online platform LinkedIn. Now, she earns an average of $3,000 or approximately P150,000 a month, and is the platform's first and only Trainer based in the Philippines. Here's how she made it work, and how you can also turn your online "raket" into something that pays more than your nine-to-five. How did you start your freelancing career? What were the initial hurdles that you had to face? 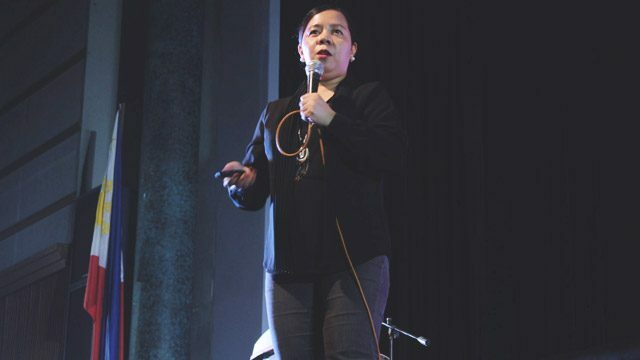 Virginia Bautista: I started as a moonlighter—I was a full-time assistant professor of communication in one of the universities in Central Luzon when I realized I wanted to write and get paid for it. I searched online and I found three companies that paid freelance writers. I took the tests in all three sites, and I got accepted in all. However, I chose to write only for one of them because back then, I was also teaching English as a Second Language (ESL) three times a week. Just like what other freelancers experience, I was a skeptic at first. I read a lot of negative reviews, i.e., that the company was a fraud, that it didn’t pay its writers, etc. I was shocked because I already submitted my first article before I checked out online reviews about the company. At that time, I wasn’t sure if I would ever get paid. Then, I was surprised that my pay came earlier than expected. I was relieved. I maintained my freelance writing account in that company for over nine years, and never experienced not getting paid, so I’m grateful. What made you realize that working freelance is better than staying in your previous job? VB: It’s a personal choice. Two years after part-time freelance writing, which I enjoyed a lot, I decided to leave my 11+ years of teaching experience in the university and work from home full time. It was a tough decision because I didn’t know what was waiting for me at that time. But now, looking back, I’m glad I chose the path less traveled. My career lifestyle changed tremendously when I started to work from home. 1. Financial Independence. Freelancing allows me to gain financial independence. I could earn as much as I could depending on how much work I’m willing to put in. I get to charge what I believe I am worth. In office-based jobs in the Philippines, the employers are the ones who decide how much you would receive. Usually, if it’s not a C-executive level, employees don’t get to negotiate their pay. As a freelancer, however, I get to decide how much I should be paid depending on the value I bring to the table. So the more I invest in myself, the more value I can deliver, and the higher I could charge. 2. Flexibility. I get to work, most of the time, whenever and wherever I want to. It doesn’t mean there’s no discipline. The truth is, freelancing requires a ton of discipline, and I choose to work during the time that I am most productive—usually around midnight 'til early morning before my kids get up for school. 3. Family. This is the best part of freelancing—I am with my kids 24/7. I get to attend their school activities without worrying about leaving the office. And the best part is that I don’t have to waste my time and suffer from the daily commute just to earn for the family—for freelancers, it’s a big relief to say goodbye to traffic congestion, the long queue at MRT, floods during rainy season, etc. Were you initially worried that going solo means you won't have the regularity and the security of a 9-5 job? What financial adjustments did you need to make when you were starting out? VB: No, I never worried about this, as a freelancer—ever. My problem is that I always have more jobs or projects than I could handle. That was why there was a time I started to ask subcontractors to work with me on some projects. I delegated to them those projects that I could no longer handle. I must admit, though, that the lack of benefits was not a good thought at all. But because I was earning much more than I did when I had a full-time office-based job, I learned to “pay myself first” by putting a percentage of my income to our savings account. It’s automatic—I save before I spend. Then, my husband and I have become more disciplined in our finances. So, I guess that’s the key to being financially independent. This is a question often asked by those interested in working from home: How do you process your SSS, Philhealth, Pag-IBIG and the like? VB: I already had SSS, PhilHealth, Pag-IBIG accounts before my transition to full-time freelancing so the only thing I did was to continue my contributions as an individual payor. FN: How did you get yourself noticed by potential clients amidst all the competition online? First of all, I’m not a fan of freelance bidding sites or marketplaces like Upwork or Fiverr, and I’m glad I never had to go there. "To succeed as a freelancer, we need to stand out. There’s no other way." Yes, freelancers could get a gig here and there, but it’s a rat race, a treadmill, a trap. I just don’t see the point of proposing or bidding for every project. That’s a waste of time and if you don’t personalize your proposals, you won’t get anywhere. And this is what I hope to share with my fellow freelancers—there’s an alternative route to getting high-paying projects or clients, but it requires a lot of work at the beginning. And that’s through building a personal brand on LinkedIn. Why? With a personal brand, freelancers can define and clearly communicate their value to their potential clients. Freelancers who don’t know themselves and what exactly they want in their freelance business (yes, it’s a business, not a job) end up burned out. When the “dry season” comes, they start questioning if freelancing is right for them. So they endlessly chase after clients, scanning freelance marketplaces for their next gig even before their current project is complete. It’s a never-ending cycle of finding gigs here and there. It’s so exhausting. On LinkedIn, however, the story is different. Freelancers don’t have to chase after clients. Instead, high-paying clients are the ones that will come find them. And that’s what has been working for me since 2014. It took me a while to discover how to make LinkedIn work, but when I learned how to do it, it has brought endless opportunities to me. How do you deal with clients who don't keep their end of the bargain, and how do you take care of those who consistently do? VB: I haven’t experienced this because I always want things to be clear at the beginning. I don’t accept jobs or “opportunities” that I don’t like or are not aligned with my long-term goals or values. I don’t say yes to any potential client who doesn’t respect my work and my time. If the client is not willing to pay me for what I think I’m worth, I’m not afraid to turn it down. I usually ask politely for what I want and see how it goes. For example, I stopped writing for a company for several months, though I still had an active account. When I came back and decided to maybe get some short-term projects, I saw that I was “demoted” to being a junior writer. I was surprised because I was already a senior writer the last time I was active on the platform. Apparently, inactive writers get demoted to lower ranks, but I didn’t think that was fair. I asked the company ‘why’ and I told them I worked hard on getting that ‘senior’ standing, so I hoped they could retain my rank. Then, they immediately changed it back to being a senior writer. That’s it, I just asked. And I got it. "My lesson there was that—always ask before you react. Most of the time, you’ll get what you ask for. The same goes with pricing. They should never be afraid to ask for what they think they deserve."